Catherine Deneuve in "Belle de jour"
for the movie "Belle de jou" 1967 directed by Luis Bunuel. 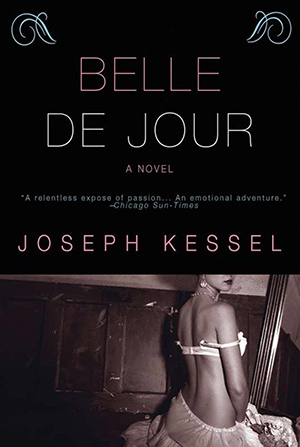 This illustration depends on one of the still photos for the movie "Belle de jou" 1967 directed by Luis Bunuel, which was based on the novel "Belle de jour" 1928 written by Joseph Kessel. It was the nickname of Catherine Deneuve acted as Severine Serizy, which was given by Genevieve Page acted as Madame Anais because "Since you only come in the afternoons." In japan, "Belle de jour" means false bindweed which is called "Hirugao" in Japanese. 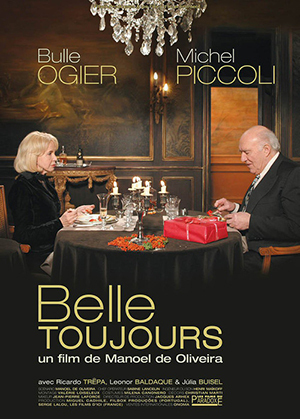 The movie "Belle Toujours" 2006 directed by Manoel de Oliveira was released. 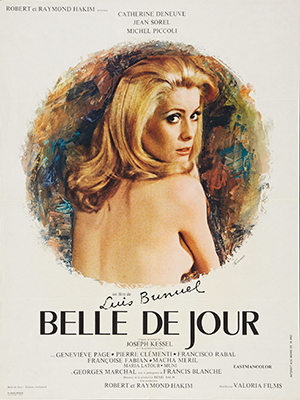 It is the sequel of the movie "Belle de jou" 1967 directed by Luis Bunuel. It is the story of 40 years later. In the sequel, Bulle Ogier acted as Severine Serizy. In japan, there is tv drama "Hirugao - Heijitsu Gogo 3ji No Koibitotachi : Belle de jour - Lovers At 3 Am On Weekday " 2014 written by Yumiko Inoue on Fuji Televison Network as the homage for the movie "Belle de jou" 1967 directed by Luis Bunuel. On 2017, the movie "Hirugao : Belle de jour " the adaptation from the tv drama, directed by HIroshi NIshitani was released. On the tv drama and the movie, Aya Ueto acted as Sawa Sasamoto aka Sawa KInoshita, the heroine.